Who would have ever thought that John McCain, a famous war hero born on August 29, 1936 would be a candidate for President of the United States for the Republican Party in 2008. But he is the candidate. 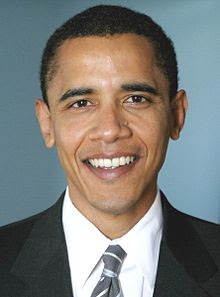 Who would have ever thought that Barrack Obama, a new Senator from Illinois born on August 4th, 1961, a black man would be running for President of the United States for the Democratic Party in 2008. But he is the candidate. They are as opposite as their skin, white and black and are pretty different in many other ways. Did you know that John McCain has never owned a personal computer, let alone doesn't even know how to use one. Back in his lively adult days, say 30 years ago, back in 1978 when he was already 42 years old then, the computer age was just coming into being. Now he is 71, shortly to become 72 years old, and openly admits not knowing how to run a computer, but qualified to run as President of the United States. If he is elected, he may be running for his second term in the year of 2012 at the age of 76 years of age, approximately 100 years after the Titanic sank. Barrack Obama is very technically minded, computer literate and sports a Blackberry that he constantly uses in his campaign and daily life. He will be 47 on his next birthday. As witnessed by browsing his campaign web site, Barrack truly understands the technical age we now live in. Did you know that John McCain retired from the US Navy as a Captain in 1981 and became a U.S. Senator in 1986 and lost his bid to the White House by our current President George W. Bush in the year 2000. Political enemies back in those days, both Bush and McCain are now good friends and President Bush fully supports John McCain mainly because he doesn't have a choice. John is the presumptive Republican Party nominee whether George Bush likes it or not. How ironic that now John McCain has the support of our President, but is it really healthy for him to stand next to a President that could and most likely will be the reason why he will loose the election to a black man in 2008. Did you know that Barrack Obama was born in the state of Hawaii. Did you know that his mother was white? Did you know that he studied law at Harvard University beginning in 1988, worked as a civil rights organizer and practiced as a civil rights attorney in Illinois, then the U.S. State Legislature from 1997-2004. He delivered a brilliant keynote address at the Democratic National Convention in July 2004. Another stark contrast between Barrack Obama and John McCain is that Barrack never served in the Armed Forces. Did you know that John McCain once stated that if necessary, he would be willing to keep our forces in Iraq "for the next 100 years". How about Barrack Obama stating that he plans to "bring all of the troops home in 15 months".